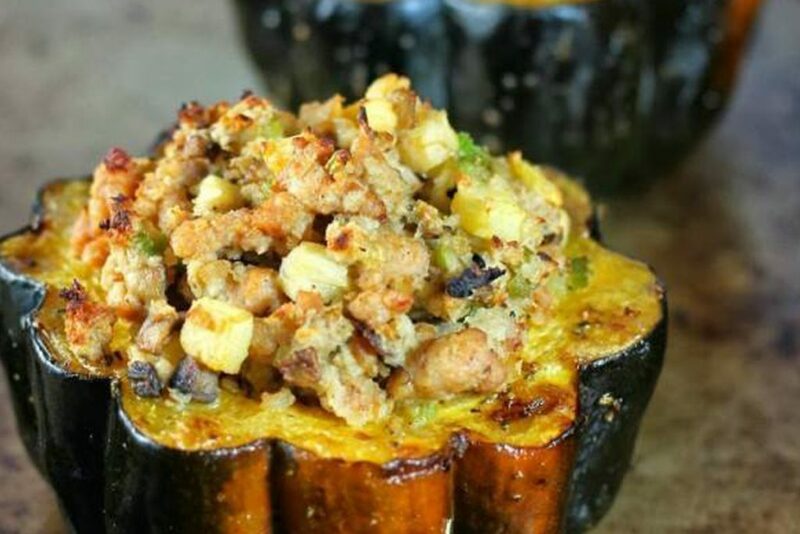 For those cold fall nights, this acorn squash recipe has just enough kick to warm you up! 1: Preheat oven to 425°F. 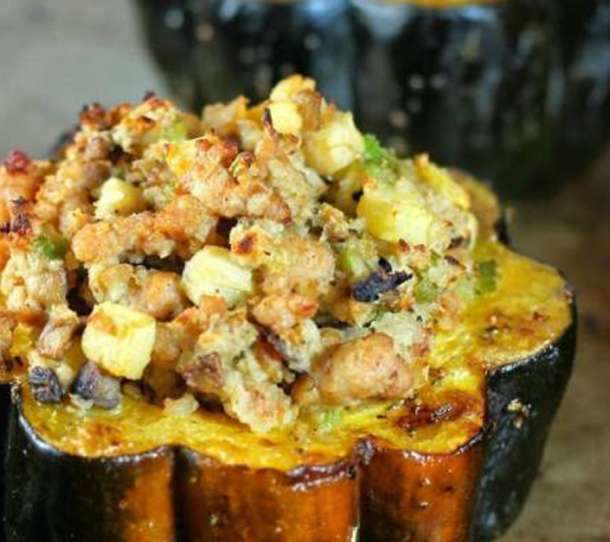 1: Spray the cut sides of the squash with oil and sprinkle with salt. Place face down on a large baking sheet. Bake until tender and browned on the edges, about 20 to 25 minutes. 2: Meanwhile, in a large sauté pan heat olive oil, then add the onion and celery; cook until celery is soft, about 8 to 10 minutes. 3: Add the sausage and cook until slightly browned.